The "Kindervale" property will host the annual 2016 Paddy Pallin event on Sunday 20 March. Located approximately 60 mins to the south-east of central Canberra, the event offers the perfect opportunity for those new to rogaining to give it a go, while providing a challenge for those wanting to push their limits! Beautiful Spring like conditions with lush green pasture and all creeks flowing are the order of the day in late February! 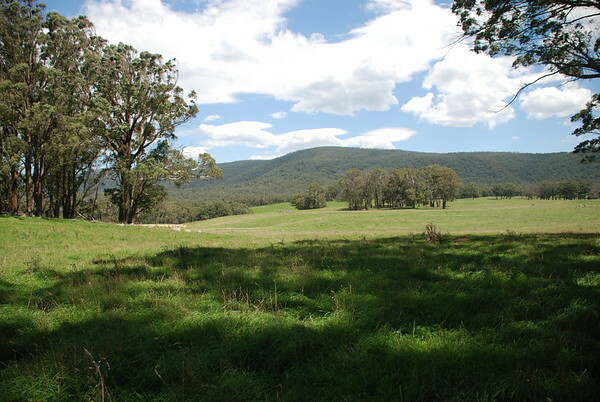 Terrain varies from undulating semi-open pasture to steeper mature pine plantings with good access and native forest. Elevation ranges between 700 and 1100metres. Throughout the map are outcrops of granite and basalt. With the creeks flowing there are also some beautiful little rapids and falls. Some controls have great views. Plenty of animals from black cockatoos to tortoises have been seen, but only one snake! Put your team entry in today and don't miss out on a great event with the usual feast to look forward to afterwards.